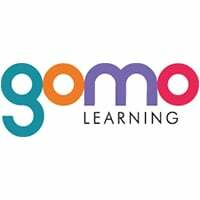 gomo learning, the multi-award winning cloud-based authoring suite, is delighted to announce an all-new offline distribution method, the gomo central app, which is set to revolutionize the delivery of e-learning using native apps. The latest innovation will give learners offline access to content on the smartphone or tablet of their choice. This is an important step for the e-learning industry, allowing authors to deliver learning content to personal devices ready for consumption with or without a WIFI or 4G connection. The gomo central app also supports xAPI tracking and dynamic content updates. It will be available to download from the Apple and Android app stores. “The evolution of gomo continues apace. 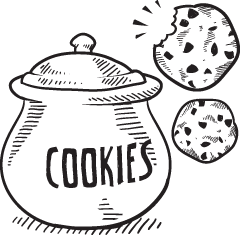 In 2014, gomo started life as a pure HTML5 authoring tool. In 2015, we launched the gomo learning suite, allowing users to distribute content instantly from the gomo cloud. With the launch of the gomo central app, we now have a complete solution, catering fully for the needs of mobile and disconnected users. There is no other authoring tool in the world that offers the kind of content distribution capabilities of gomo. We now allow organizations to get content to learners instantly, on any device, with full offline access and reporting.” Mike Alcock said. The gomo central app joins four other cloud-based learning distribution methods within the gomo learning suite. The end-to-end suite allows teams to seamlessly create, host, update and track multi-device learning from one tool. The North American launch of the gomo central app will take place at ATD ICE 2016 (22-25th May 2016), where the brand will exhibiting its multi-award winning learning suite. For more information on gomo learning and the gomo central app, please head to the gomo learning website. Since launch in 2014, gomo has made a huge impact in the e-learning market, gaining the recognition of industry guru Craig Weiss as a top 5 authoring tool in the world. In 2015, gomo was honored with a prestigious Brandon Hall Gold Award for Best Advance in Content Authoring Technology. With an ever-growing global client base including British Airways, Volvo, Nike, Jaguar Land Rover, Burberry, United Healthcare, Boots, Dunhill and many more, gomo is quickly becoming the established choice for global organizations seeking a tool to collaboratively create and deliver future-proof, responsive HTML5 multi-device e-learning. "With the gomo central app, we now have a complete solution, catering fully for the needs of mobile and disconnected users. We now allow organisations to get content to learners instantly, on any device, with full offline access and reporting."